Conservatives Of The Upstate: Gun Free Zones From Schools Extend Into Your Front Yard? Gun Free Zones From Schools Extend Into Your Front Yard? 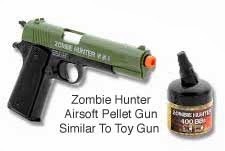 Two 7th grade students in Virginia Beach, Va., were given lengthy suspensions Tuesday that will last until the end of the school year for playing with an airsoft gun in one of their front yards while waiting for the school bus. 13-year-old Khalid Caraballo and Aidan Clark will face an additional hearing in January to determine if they will be expelled for "possession, handling and use of a firearm" because the guns were fired at two others playing in Caraballo's yard.